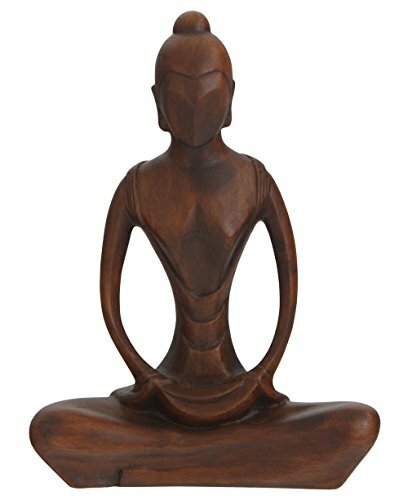 Imbued with a calming quality, this statue depicts a woman in graceful meditation. She is rendered in abstract shapes and finished in a rich mahogany color. Statue measures 8 inches high, 6 inches wide, 2 inches deep. Weighs about 2 pounds. If you have any questions about this product by Buddha Groove, contact us by completing and submitting the form below. If you are looking for a specif part number, please include it with your message.